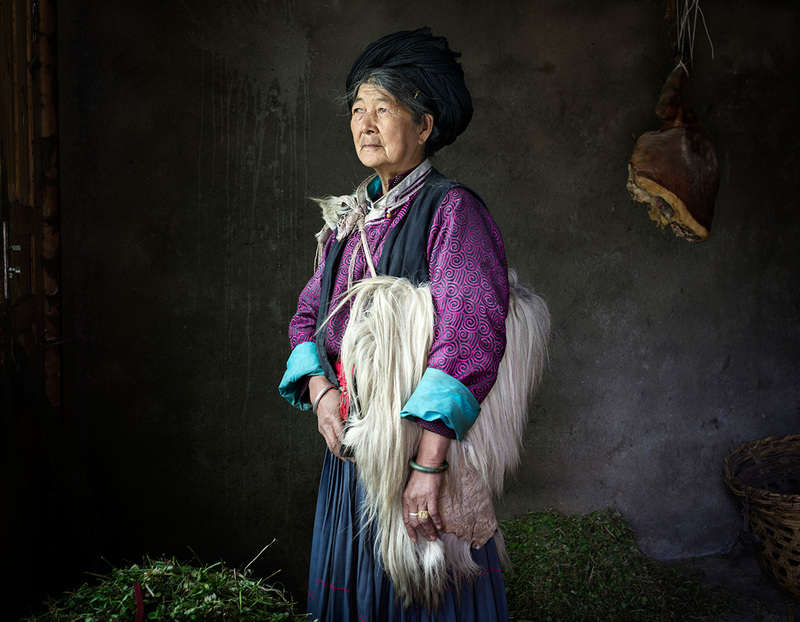 Until quite recently, the Mosuo, a Chinese ethnic minority of around 40,000 people living high up in the Himalayas, enjoyed centuries of relative stability in a complex matriarchal structure that values female power and decision-making. Mosuo women are the heads of household and responsible for all financial decisions and the passing of the family name and property. Since the Cultural Revolution this stability has been slowly crumbling. Today, Mosuo culture is misrepresented and exploited as a tourist attraction by the Chinese government. While the tourism industry may offer financial relief to some, only few of them are able to sustain a way of life traditionally centered around large, matrilineal clans. My photographs focus on older Mosuo matriarchs, also called “Dabu“, who still remember a time when the community was shielded from outside influence and was stood above all else.